Everyone loves a good discount…especially a discount on WHOLESALE prices! Similar to my own blog, I write articles for shop owners to help them with their businesses. You’ll find all of my Darice blog posts currently under the Buzzworthy or Small Business categories of their blog. When I met with, Anne, the marketing director at Darice, we talked for almost 2 hours! We had so many ideas for future collaborations that we probably could have talked for 2 more! During our conversation, I talked about my subscribers and the Savvy and Master Shopkeepers group members and how some of them were current Darice customers, but many had not heard of Darice. 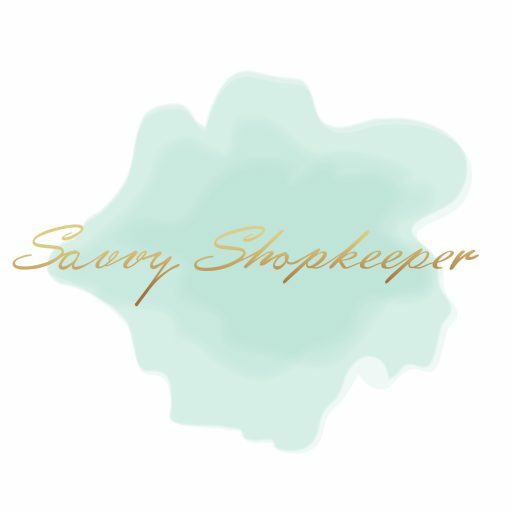 To my pleasant surprise, Anne offered to give all Savvy Shopkeeper followers a 20% discount off their first purchase! What’s unique is Darice serves all types of shop owners…. just like Savvy Shopkeeper! Whether you own a brick and mortar store, buy supplies for window displays, or you’re a maker in need of arts and crafts supplies, Darice is an affordable option for most retailers. If you’re in the Northeast, Ohio area or willing to take a short drive, Darice even has a showroom that’s open to buyers during the week. Open an account and stop in Monday-Friday during regular business hours. No appointment needed, but you will have to sign in and get a pass to visit the showroom. If you aren’t local, it’s easy to sign up for an account online and start browsing the selections. Another perk of buying from Darice? Their low minimum order requirement. It’s only $75! This is ideal for the maker just starting out or the brick and mortar owner who needs to keep the budget under control. If this sounds appealing to you, click here to visit Darice’s website to sign up for an account and when you place your first order be sure to use the discount code SAVVY20. *Please note that some of the information above is affiliate-related, and at no additional cost to you, I will earn a commission if you decide to use the discount code. I recommend Darice because it’s helpful and useful to shopkeepers, not because of the small commissions I make if you decide to buy something through my links or codes. Please do not spend any money on these products unless you feel you need them or that they will help you achieve your goals.